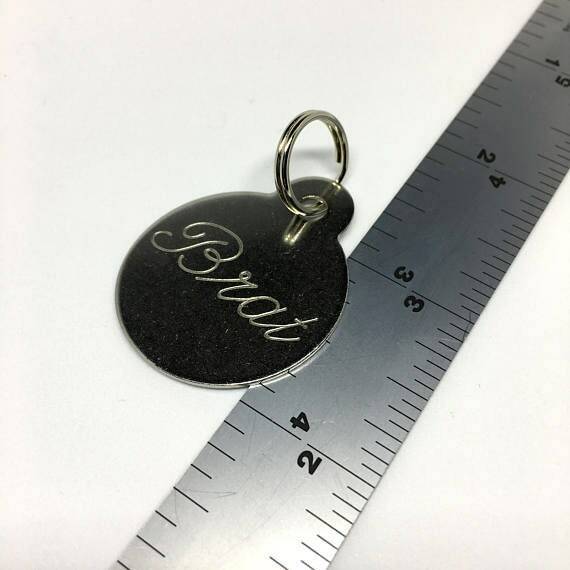 Custom engraved collar tag with cursive or sans serif text. Made of stainless steel with a small split ring attached. Sizing of the text is dependent on length of the words. TEXT LIMITS: Each line can generally handle 8 to 9 letters (including spaces) in cursive. 10-12 in sans serif. If you are unsure if the text you would like will fit on a tag, please send us a message! Text is on the front of the collar tag, but text on both sides can be added. Multi lined text can also be added for a small fee, as it requires a lot more work to readjust the machine to be able to add extra lines. All of our engraved items are engraved using a rotary engraver. Most items are made order as we keep a low stock of most items. Collar tags are made of stainless steel. 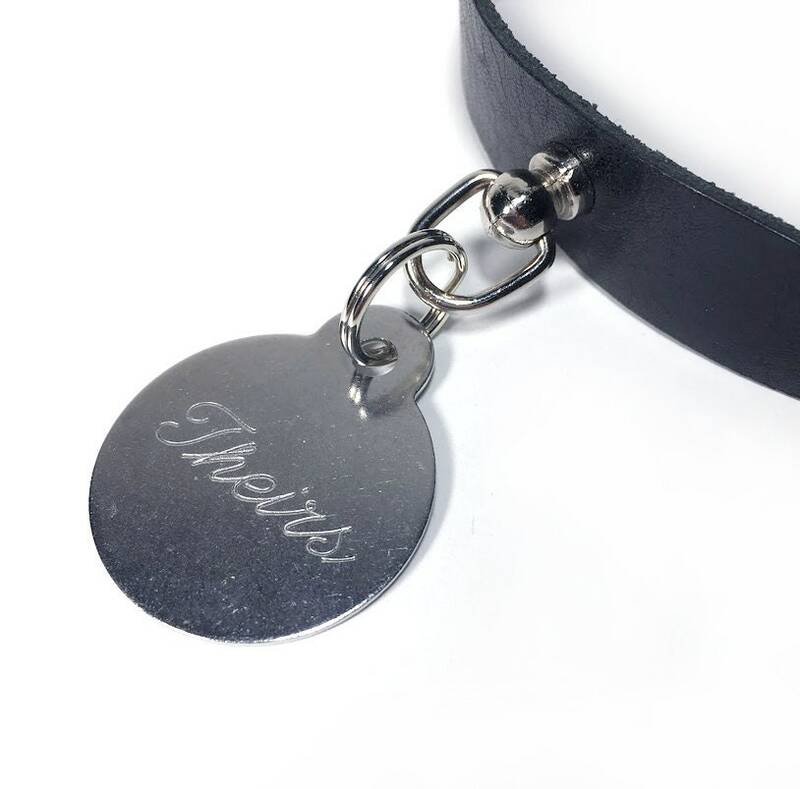 All collar tags are engraved in a cursive font by default. Sans serif font available by request or through the custom listing. Turned out great! And order came in a reasonable time!